If you are looking for a great deal on your bike insurance, then look no further. 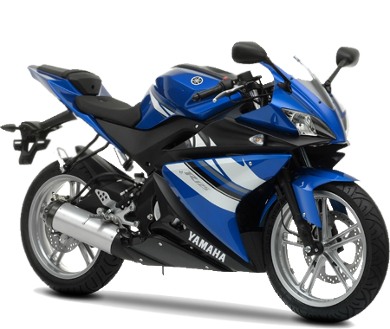 We cover a wide range of 125cc bikes, ranging from the roadster to the sports replica and the cruiser models. One Sure are positive that we have the cheapest bike insurance around. In fact, we will guarantee you a full money back refund if you do find cheaper motorbike insurance anywhere else. Third party only - This is the most basic level of cover available and covers you for third party death and third party property damage. Third party fire and theft - This covers all of the above, plus fire and theft cover. Comprehensive - This insurance covers all of the above, plus accidental damage to your vehicle. Why choose One Sure insurance? We will search a wide selection of scooter and bike specialists so that we can find a policy that is tailored to your needs and at a lucrative price. All of our policies come with a 24-hour accident helpline. We have a wide selection of additional extras that you can add to the policy, such as helmet and leather cover and uninsured loss recovery at very competitive prices. If you wish to spread the cost of the policy over a monthly period, we have a variety of flexible payment options available to you. We pride ourselves on being a UK-based call centre. If you have more than one bike, we can offer a multi bike policy which would save you time and money. We can offer agreed value on your classic bike. Pillion cover- This allows you to carry passengers on the back of your bike (a full motorcycle or scooter licence is required).